Hey folks, Valkor here with my main game editor Ghosthead in tow, and we’re bring you an inside look at some of the hottest games comin out from the folks at Sega. Funny thing is, last time I met with Sega it was a cold, wet day. This time, sunny and hot as…. Well really hot. Needless to say the gaming action was even hotter and this holiday season looks very promising. Since this was Ghost’s first time out I’ll leave most of the show to him, since he’ll be the one taking care of most of the gaming action at TOV, while I’ll chime in with a thought or two. Alien vs. 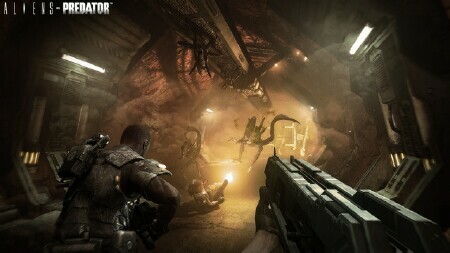 Predator - The game takes place about 30 years after the events of Alien 3. 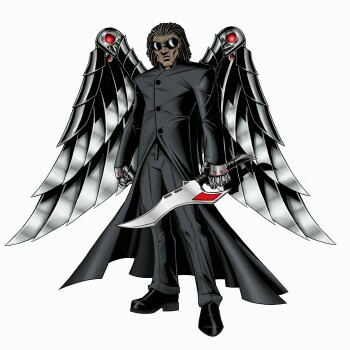 There is one singular story however, the player goes through that story for 3 separate points of view each character with its unique move set and attacks patterns. The Marines, which basically plays like your average first person shooter. He is equipped with several different assault rifles, mini drones that can be set in place and used to remotely attack oncoming enemies, and when you find yourself in the dark, flares can be used to light your way and locate enemies. Another interesting part of the Marines demo was in the corner there is a motion detector, a nod towards Alien 2. Finally, the Aliens you face are a perfect representation of their film counterparts with the fast movement, wall climbing, surprise attacks and of course the acidic blood which can prove deadly if you attack too close. The demo really got my interest when the demonstrator switched to the predator demo. Once again a first person view however it didn’t seem like the average FPS. As the predator you can use his signature cloaking device, wield his plasma cannon, leap to higher vantage points, use 3 different vision modes, lure your enemies away using the predator voice mock ability, and in true predator fashion perform signature kills on your enemies. That’s all the demo had to show, a small sample but enough to peak my interest but from what I saw there is still work to be done and my hope is that finally SEGA manages to recreate to glory of the very first AvP on the Atari Jaguar so……fingers crossed! The game is set for release Q1 2010. Valkor – I was damn impressed with the overall presentation of the game, especially watching the Predator in action. However as impressed I was with the Predator character I felt that a first person view doesn’t really suit him. True the Predators keep a distance and like the hunters they are, use different methods to take out their enemies from afar, it’s when things get up close and personal that it becomes a downer. I loved the Marine as you not only have use of an assortment of weapons, you also have fellow Marines whom you will assist and save… and some whom can’t help but bite the dust. Alpha Protocol - (PS3, XBOX 360, PC) This is a game that I have been waiting on for awhile now so getting a chance to see gameplay was exciting for me. From what I could gather the game is firmly based on decision making, every time you make a choice that choice affects the rest of the game giving the player the freedom to mold the main character into the spy they want to make. So basically you the player have to ask yourself…do you want to be a James Bond or a Jason Bourne. You will be able to choose from an arsenal of weaponry, each with a unique ability, field gear and as you level up you can improve on and unlock any skill you want so if you want to be a kung fu expert and take down your enemies with a flying knee attack you can or you can improve on your stealth and go into a mission with a silenced weapon and be in and out before anyone notices a thing. Since every decision you make has multiple consequences the replay value of the game is through the roof and with these economic time the bang you can get for buck is over 30 hours of play in you first play through. I am definitely looking forward to getting my hands on this title and gamers will be able to this October. Valkor – Make friends of enemies or enemy of friends? The choice is yours pretty much. This makes you realize that for every cause there’s an effect, for every action there’s a reaction. And that in the long run will put Alpha Protocol over the top because you have crazy replayability. If only more RPG’s (the fantasy kind) could be like that. Oh, And like an RPG you can manage your character skills and modify your weapons, get email and (in a way) reply to said emails, and speak with other characters all putting you deeper into the story. Ironman 2 - (PS3, XBOX 360, PC) While the first Ironman game was a disappointment for gamers it seems this time around SEGA is trying their hardest to make improvements with this title. The game follows the plot of the upcoming movie while adding its’ own sideplot as well. 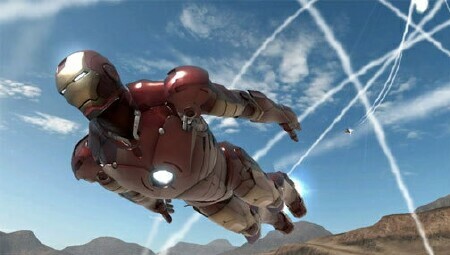 From seeing the demo it seems the controls for combat and flying have become a bit more player friendly and the biggest improvement, I feel, is that there are going to be interior missions for Ironman as well as some mission devoted to aerial and outside combat. 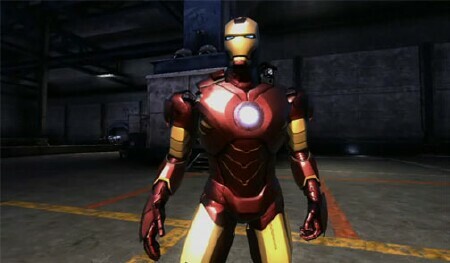 If the player doesn’t feel like using Ironman’s cool gadgets then the melee combat system is the way to go. As far as customization and upgrading goes you can use points gathered from combat to level up your suit and really make it the way you want it. It seems like an improvement from the first title but it’s still too early to tell, hopefully Ironman 2 will turn out to be as good of a game as X-men Origins Wolverine. The is slated to release around the same time as the film. Bayonetta (Valkor hands on) – I briefly and I mean BRIEFLY got the chance to play Bayonetta at E3. but things were so rush-rush that as quick as I jumped on, I was off. UGH! But that’s ok because in the confines of Sega’s penthouse I was able to sit back with a coke in hand and get in some gaming action. And let me just say the gameplay is ridiculously smooth! I’m talkin spot on controls and fluid animation makes for one hell of a game. 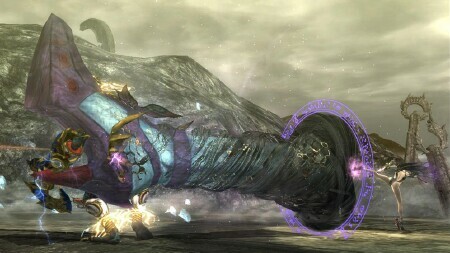 The boss battles are HUGE with some involving time events, but you'll be able to pull off some crazy moves to take em down. And if you play games like Devil May Cry 4, you’ll notice a lot of similarities between the two, but to me, this feels much better, more fluid, and the more complicated moves are easier to pull off here than in DMC 4. All that’s left to say is bring on the full game! 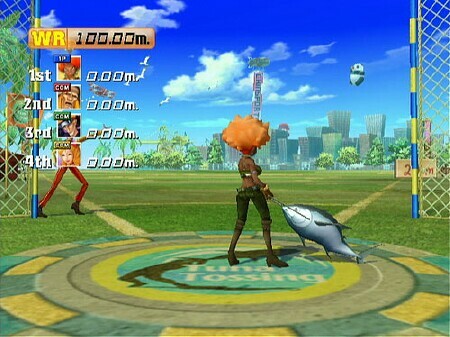 Wacky World of Sports-(Nintendo Wii) This is one Wii title I’m really looking forward too after playing this demo. Basically this game throws sanity to the wind and gamers get to partake in the wackiest sporting events on this earth. From games like Tuna Tossing to Extreme Ironing gamers of all types with find themselves having a blast with this title. The demo I played was extreme ironing and tuna tossing. In Extreme Ironing players select their character and go skydiving however, they bring along their ironing boards and trusty irons. 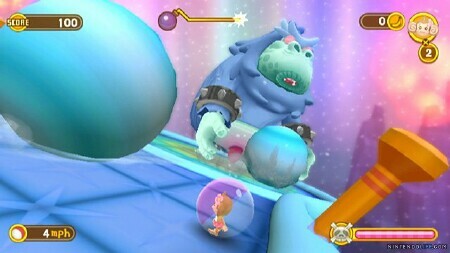 To earn point the player must perform certain movments with the Wii remote at the right moment to earn optimum points. A little wacky but that is the point of the game after all. I’m actually looking forward to playing this title so for you casual gamers this is one title you won’t want to miss. Valkor – Skydive ironing? Tuna tossing? What the hell kind of game is this? Wacky World of Sports is what that is. I’m not much into party games, but I can see the fun in a game such as this. You have to be very precise with the controls, but otherwise I love the theme and I hope the other events are just as wacky. Mario and Sonic at the Olympic Winter Games - (Nintendo Wii) The first Mario and Sonic game was a joy to play and with this sequel it seems like it carries over that same fun in a new setting. 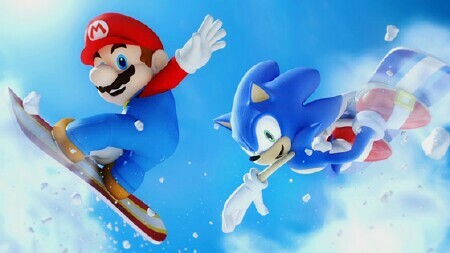 All the Mario and Sonic characters are back to play new Olympic games such as competitive skiing. From the demo it seems as though the new setting really sets this game apart from the first title and as far as and improvements go the developers focused on making the controls for each of the challenges a little more simplified to make the game really player friendly. I personally cannot wait to put this in my Wii system and enjoy some more Olympic fun. 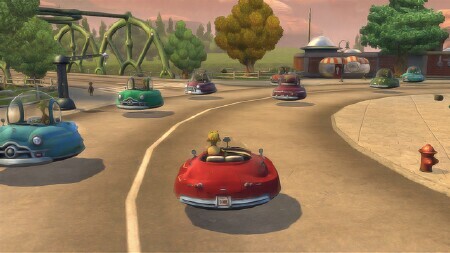 Planet 51- (PS3, XBOX 360, Nintendo Wii, PS2, Nintendo DS) Based off the upcoming film the game is composed of free roam elements as well as on foot and driving based mini games. The game is set on an Alien planet in the 1950s however when a human astronaut crash lands they think we are the invaders. That’s all I could gather plot wise but the game will follow the movie’s storyline. The free roam aspect of the game actually felt like the nursery version of GTA, you actually get to run from cops and take people’s cars but in a non-GTA way. The mini games are actually fun to play through making this title a possible good game for those wishing to earn easy achievements or those wishing to get the perfect gift for their 8 year old. 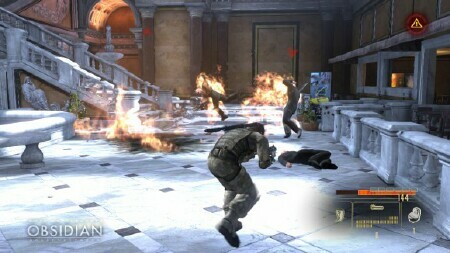 The game is slated for release around the time of the movie. Resonance of Fate (aka End of Eternity) - (PS3, XBOX 360) From the developers that brought you Final Fantasy is this totally new title. They drop the giant swords and instead give you real world guns to wield. This game gets more gritty and violent than its predecessors. The basic gameplay is very cinematic with gunplay and a turn based battle system. 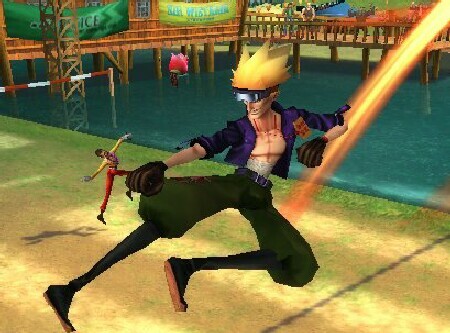 The game has three main characters each with a unique move set and weapons. The better your moves in battle the more points you earn for upgrading your guns and customizing your character’s look. While the early demo seems interesting the game still has a way to go so for you Final Fantasy fanboys out there this is a new title you may want to get your hands on. 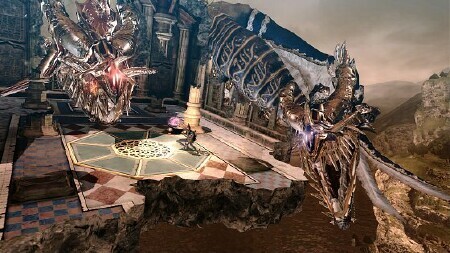 The game is set to release Spring 2010. Valkor – Here’s a game that puts you in the gritty version of “The Jetsons” as the people of earth now live above ground. This is a turn-based RPG with real time control in a sense that you can move your character around the play field and then choose which attack (whether its straight forward or magic) works best. Graphically the game looks damn good, but the grittiness of the backdrops look a little too gritty, that things sorta mesh together. Otherwise this is another game to keep an eye on. I love the fact that it will have english and japanese voice as I think most games that come from Japan should never be localized. But that's another topic all together. Super Monkey Ball Athletics - (Nintendo Wii) The earlier Super Monkey balls were a joy for Wii gamers and this title continues the traditional wacky, monkey ball fun. This title is wii fit board compatible and while the earlier games had rather difficult puzzles this game lessens the difficulty in puzzles and has become very player friendly. The game can accommodate up to two players for a versus mode but if getting through the puzzles isn’t your thing then the new mini games such as red light green light may be for you. The game seems like it will be a fun title for the whole family to enjoy, so for you Wii owners I’d say check this title out.